Menlyn is one of Pretoria’s most preferred business areas. It’s a rapidly expanding (high-rise) residential area, popular for its prime location in the eastern parts of the city. 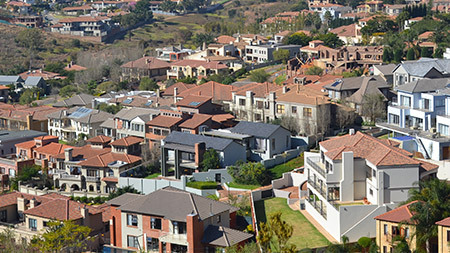 Estate agents talk about the type of property available in Garsfontein, and why buyers are attracted to this area. The active community in this area banded together to reduce crime and make this well-established leafy suburb with its many parks and tree-lined streets the pleasant neighbourhood it is today. Pet Friendly, Access Gate and Elec. Fencing. Pet Friendly, Pool and Access Gate. Pool, Access Gate and Patio. Access Gate, Security Post and Patio. Access Gate, Elec. Fencing and Intercom. Pool, Access Gate and Elec. Fencing. Access Gate, Security Post and BIC. Pool, Elec. Fencing and Security Post.